For decades the Battle of Kursk has been widely believed to be the largest tank battle in history. 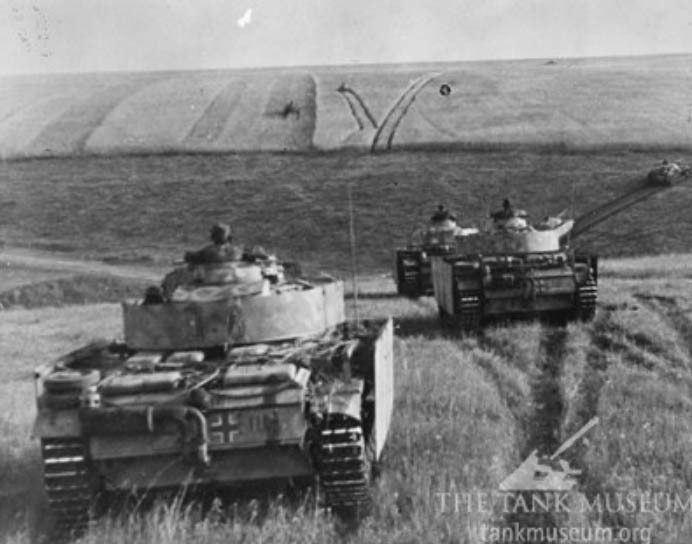 In particular, the fighting at Prokhorovka on the 12th July is often reported to have involved anywhere from 1200 to 2000 tanks clashing at point-blank range, resulting in the destruction of up to 1200 vehicles. However, since the end of the Cold War extensive research by historians in the Soviet and German archives have analysed records of the units that took part. As a result, it’s now generally accepted that these numbers have been greatly exaggerated and that Prokhorovka wasn’t the largest tank battle. This post gives a very brief overview of the results of this research. The numbers presented here are taken from ‘Kursk 1943: A Statistical Analysis’ by Niklas Zetterling and Anders Frankson and ‘Demolishing the Myth’ by Valeriy Zamulin. 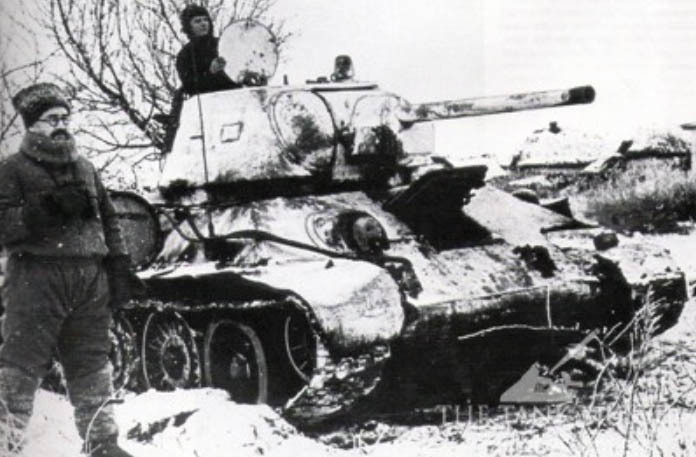 How many tanks were present at Prokhorovka? Exact numbers on any particular day can often be difficult to determine, as a unit’s records don’t always distinguish between numbers of tanks in their possession and the number actually functioning that day. Not all records have daily numbers recorded, and there is always the possibility of human error. For Prokhorovka these difficulties are magnified by the fact that historians have never agreed on the exact scope of the battle. Some accounts only consider fighting between the main combatant units, the German II SS Panzer Corps and part of the Soviet 5th Guards Tank Army, whereas others also include the neighbouring III Panzer Corps and the remainder of 5th Guards Tank Army. Taking the narrowest definition these researchers have concluded that the actual number of tanks used at Prokhorovka was around 910, 294 German and 616 Soviet. Expanding to neighbouring units raises this to 429 German and 870 Soviet for a total of 1299 vehicles. German Panzer IIIs fitted with Schurzen add-on armour on the move. This research has also led to the numbers of lost tanks being revised drastically downwards. 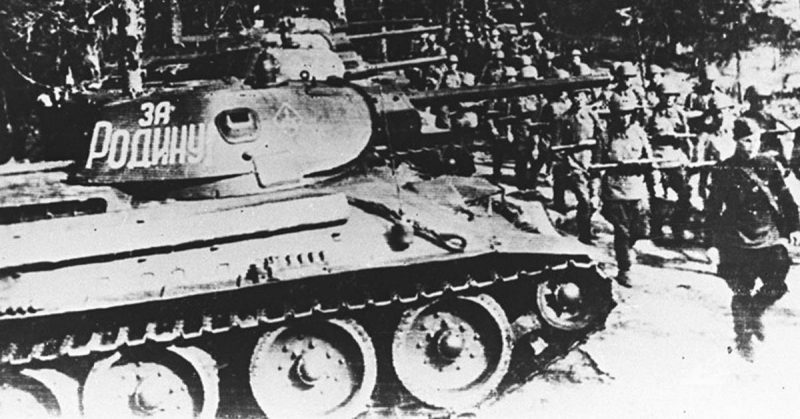 Soviet records suggest that the 5th Guards Tank Army lost 359 tanks and assault guns on the 12th, of which 207 couldn’t be repaired. German records suggest the equivalent figures for II SS Panzer Corps and III Panzer Corps are 193, with just 20 completely lost. However different definitions of ‘lost’ between Soviet and German records make a direct comparison difficult. Human losses are similarly difficult to determine. The 5th Guards Tank Army lost 2240 men killed and 1157 missing (who would most likely have been killed) between the 12th and 16th July. During the same period, II SS Panzer Corps lost 503 killed and 57 missing. Why then, did such exaggerated figures appear and take root? 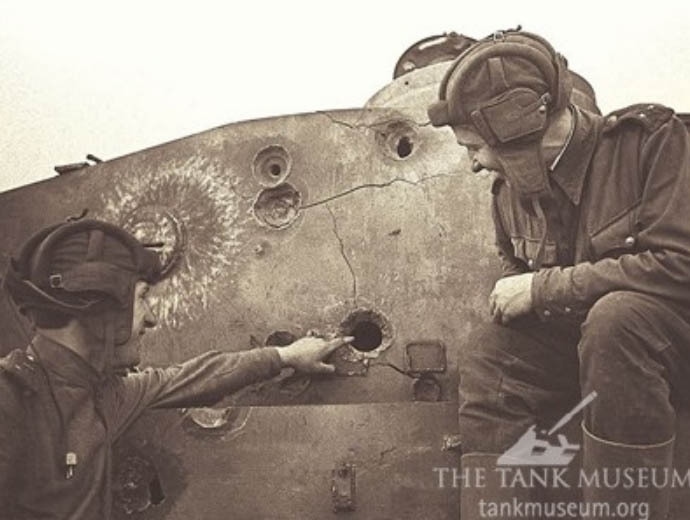 Soviet tankers examine a knocked out Tiger I. They can be traced back to Soviet propaganda. The Soviets knew they had taken heavy losses during the fighting. Although the exact numbers were classified, there was still a need to make sure the population believed the casualties were justified. Exaggerating the size of the German forces and their losses accomplished this and boosted morale. Some of the exaggeration had a basis in fact. For example, if three Soviet tanks had fired on a single German vehicle, then initial reports passed to higher commanders would indicate three German tanks had been destroyed. It would take time to work out the truth, but in the meantime the exaggerated number made for better propaganda. The memoirs of General Pavel Rotmistrov, commander of 5th Guards Tank Army during the battle, suggested 700-800 tanks had fought on each side and that the Germans had lost over 400. His position of authority further embedded these numbers in the historical record. During the Cold War Western historians had no access to Soviet Archives, so their only available sources were these exaggerated figures. The German archives were more available, but not fully exploited. It’s only since the end of the Cold War that this situation has changed. Even so, reliable data about strengths and losses is still difficult to come by, and historians differ, often very greatly, over the correct figures. So if Kursk wasn’t the largest tank battle in history, what was? General Pavel Rotmistrov, commander of 5th Guards Tank Army. It’s now generally accepted that it was the fighting around Brody and Dubno between the 26th and 29th July 1941, rather than Kursk. This was part of the border battles fought at the beginning of the German invasion of the Soviet Union. It involved up to 3500 Soviet and 750 German tanks. The battle was a heavy Soviet defeat, they lost hundreds of tanks and thousands of soldiers. Indeed by early July most of the units involved had been reduced to less than 10% of their tank strength. Thanks to the Tank Museum for this Blog, which originally appeared here.